THE WHO. No questions asked. The mere mention of their name following an announcement that they're touring again incites a wave of excitement. Their iconic status remains rock solid as fans remain devoted and steadfast in supporting them all these years. Those who come to their live shows grow by the number as a new set of fans emerge from younger generations. Cited as one of the most influential rock bands of the 20th century, selling over 100 million records worldwide, The Who is still an indomitable force to reckon with. 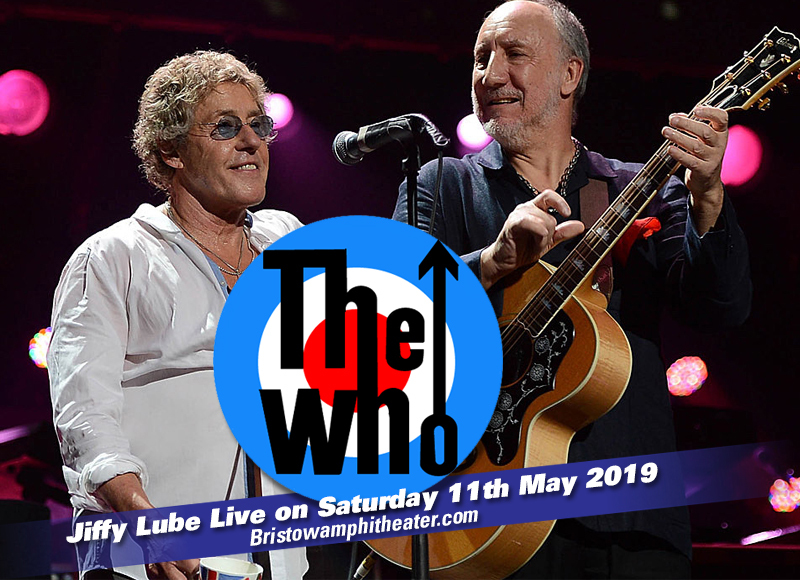 Come in full force and catch The Who as they bring the house down with their exemplary live show at the Jiffy Lube Live on Saturday 11th May 2019. Don't let this momentous event in rock history just pass you by. Secure your spot by clicking 'buy tickets' now! Schoolmates Roger Daltrey, Pete Townshend, and John Entwistle were the founding members of The Who back when they were schoolboys in Acton, London. In 1964, they started playing gigs in the so-called mod scene venues like the White Hart Hotel in Acton and the Notre Dame Hall in Leicester Square. From there, they were reputed as a band who pulled-off explosive stage performances. Which later on progressed into pop art and mod movements, characterized as auto-destructive art by slamming guitars and smashing drum kits on stage. This became their trademark act, specifically the guitar-smashing incident at the Railway Hotel in 1964; and Rolling Stone magazine immortalized it, by declaring such incident as one of the "50 Moments That Changed the History of Rock 'n' Roll". But then, the music is all that matters in the end. Their legacy is alive and wildly kicking because their songs refuse to die. Their most influential hits include "I Can't Explain", "My Generation", "Substitute", "Happy Jack", "Who Are You", "Won't Get Fooled Again", "Baba O'Riley", "I Can See for Miles", and a whole lot more. They have been given the most significant citations for their musical achievements, including an induction into the Rock and Roll Hall of Fame in 1990. Witnessing a full-blown concert by The Who is making yourself part of a historic moment. This is one of the most legit posts you could do on your social media. Make it happen! Get your tickets right here, right now!